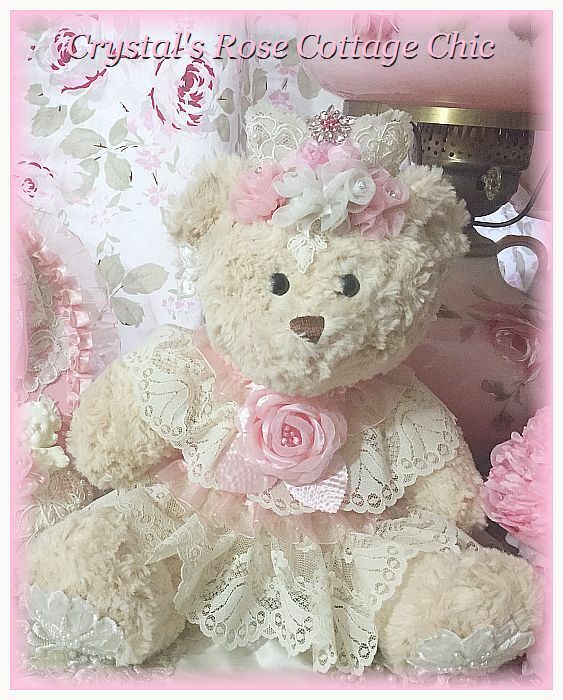 This darling, one of a kind bear has been lovingly embellished with ivory scalloped lace, pink organza and satin ruffle trim and a pretty, pink rose from her pearl collar. 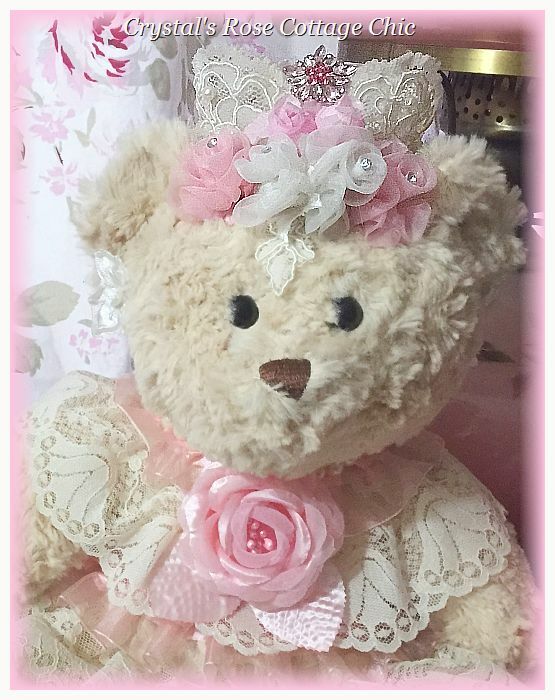 I've also added pearl beaded and sequined lace appliques to her paws and ears for an extra touch of charm. 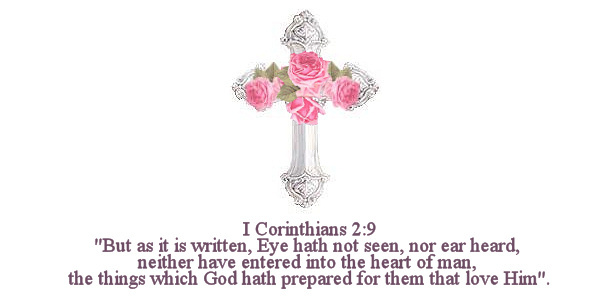 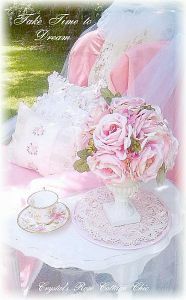 She has a stiffened lace crown adorned with pink and white rosettes with rhinestones for a touch of sparkle. 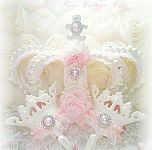 For the crowning touch she has a gorgeous pink star in shades of pink on top of her crown! 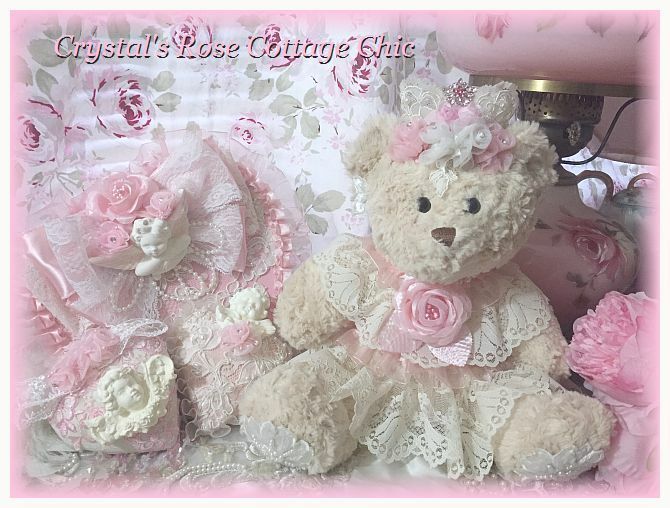 She would make a lovely gift or a special addition to your Shabby Chic/Rose Cottage/ Victorian vignette or boudoir.